A gorgeous and graceful mandala design is stamped in your choice of three foil colors on these watercolor response cards featuring your choice of background color. The overall look is soft and romantic with a bold statement of luminous design. 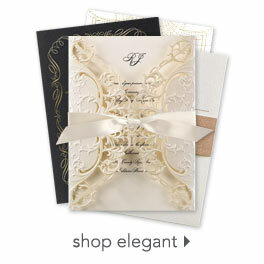 Personalization Options: Watercolor background is printed in your choice of color. Mandala design is printed in your choice of three foil colors. Wording is printed in your choice of colors and fonts.